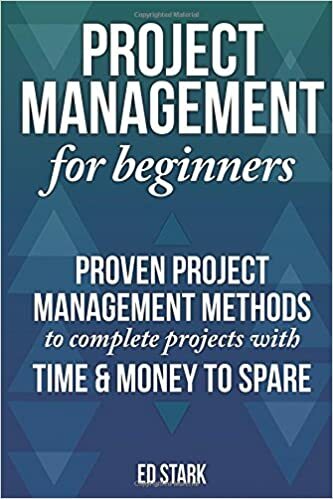 Project Management For Beginners: Proven Project Management Methods To Complete Projects with Time And Money To Spare by ClydeBank Business is a must read book or a must-listen audiobook. This has been among the top bestsellers on Amazon. Any project manager would like to adopt proven strategies for successfully running and closing any type of project under pre-accepted limits of time, budget, and resources. But that is what usually does not happen in real life. That is where this book becomes handy to get the keys to master unchartered areas. Project Managers are highly in demand and it is apparently visible that all project managers do not fit in the area of skillset requirement. Theoretically a project manager might be quite strong in knowledge but in practical hardly half of them qualify. Project Management is a science because technical analysis is involved and the methodology itself requires scientific approach but then on top of it there is an art of managing a project, which is very important to understand and learn. Almost every organization needs project managers as it is not only a software design company or an It company that needs project managers. Project Managers who excel in their journey don’t find any obstacles in reaching the top of the ladder of their career upto even C-Level. To excel in this journey, a project manager has to be strong fundamentally. A project manager must master in budget creation, scheduling and scoping. Understanding project risks well in advance and mastering the art of mitigating those risks is something very important for a project manager. In this book Project Management For Beginners: Proven Project Management Methods To Complete Projects with Time And Money To Spare by ClydeBank Business you will learn exceptional management techniques which are very critical in terms of mitigation of project risks and ensuring a successful journey to its timely closure. Managing and controlling a project are two different aspects and as a project manager you must understand it well. Once you master all these essential project management skills and keep brushing your weapons, nothing can stop you in becoming a successful project manager who is able to complete any kind of project. There are always anticipated and unanticipated threats that come in the way of a project and as a successful project manager you must master to overcome these barriers. Project Management For Beginners: Proven Project Management Methods To Complete Projects with Time And Money To Spare by ClydeBank Business is not only an excellent book for project managers at any level, for aspiring project managers and for those who are preparing for Project Management professional exams. Some great learning come through this book when you objectively understand the difference of managing a project and managing it efficiently. What all ingredients you need to break all the barriers.